When we hear official reports released by the FDA and CDC, transmitted throughout major corporate media outlets and publications, that a particular vaccine is safe, we should immediately perk to attention, raise a red flag, and muster rational suspicion. One of the most important questions is, what kind of studies are performed to determine that any vaccine is safe? And what evidence is there that vaccines are especially safe in infants, small children, pregnant mothers, the elderly, and those with asthma and compromised immune systems? According to the statutes of the FDA’s Public Health Service Act, vaccine manufacturers are required to prove a vaccine complies with three criteria before approval and launch: safety, purity and potency. There are no requirements before FDA approval and licensing that a vaccine undergoes independent studies by researchers with no vested financial interests and industry ties in order to validate a vaccine maker’s claims. Rather, the entire approval process is nothing more than a good-faith relationship between the vaccine industrial complex and the FDA and the CDC’s Advisory Committee on Immunization Practice (ACID), the primary entity determining vaccine policies. In an interview with Dr. Tom Jefferson, one of the world’s most knowledgeable experts in vaccine research and head of the Vaccine Field Group at the Cochrane Database Collaboration, the Financial Times reported that he found less than two dozen studies on the current H1N1 flu vaccine and none have a completion date before December 2010. Moreover there is no knowledge whatsoever that these vaccines are safe. Clinical trials with at-risk individuals, including infants, small children, pregnant mothers and people over 65 of age are not mandatory for regulatory approval. So how do the vaccine makers determine whether or not a vaccine is safe for these at-risk groups? Well, they don’t except by predicting past incidences of vaccine effectiveness and safety using mathematical models. The vaccine industrial complex is under no federal obligation to give sound scientific evidence that their vaccines are safe in anyone except health adults. What is quite extraordinary in the FDA’s Center for Biologics Evaluation and Research’s document, “Guidance for Industry: Clinical Data Needed to Support the Licensure of Seasonal Inactivated Influenza Vaccines”, is the large leeway permitted vaccine manufacturers to prove a vaccine’s safety. For example, “the protocol should include a clinic visit or telephone contact at least six months post-vaccination to ascertain serious adverse events.” Or, “we recommend that you assess the safety of your investigational vaccine in several thousand subjects.” Or, “we assume that approval for use in the adult population, including the geriatric population, would be sought with the initial application.” More serious is this allowance given to vaccine manufacturers, “For vaccines using novel manufacturing processes and/or adjuvants, laboratory safety tests including hematologic and clinical chemistry evaluations, may be needed pre- and post-vaccination in the first clinical studies.” (all italics are ours to clearly identify word choice in the official CDC document). As a result of such noncommittal and ambiguous requirements, we find the efficacy clinical trials conducted for the currently approved H1N1 vaccines enrolling only between 100-240 subjects depending on the trial. I have come to think of the Cochrane Database Collaboration as the penultimate emergency medical think tank of investigators performing triage on the layers of bad, and even quack, science published throughout peer-reviewed medical journals, particularly research papers sponsored by the pharmaceutical industrial complex and their financial supporters and cronies in government health agencies and advisory committees. Given the utter lack of credible vetting being done in peer-reviewed medical journals, which have even allowed freelance contractors at advertizing firms to write scientific articles for the pharmaceutical complex, the Cochrane database is today’s gold standard for a library of sound medical research. Sir Iain Chalmers, called the “maverick master of medical evidence” by Lancet, founded the Collaboration in 1993 as an independent initiative, free of vested interests with private drug and vaccine makers, with the mission to undertake systematic reviews of existing healthcare medical trials. The Collaboration now includes over 10,000 volunteers from 90 countries busily analyzing decades of medical studies to pull out the kernels of sound scientific research and reliable conclusions from the chaff of pseudo-scientific waste that has become a trademark of drug and vaccine manufacturer trial methodologies in order to get their products quickly passed through government regulatory agencies’ relaxed requirements. Even for those unfamiliar with clinical trial jargon, we can all agree that the approval of any vaccine should rely on sound evidence-based medicine; that is, we would expect clinical trials for determining the efficacy and safety of a vaccine to rely on the best scientific methods in order to gain accurate data to protect and improve the lives of people. Instead, the vaccine approval policy relies on individual-based decisions, subjective quackery fabricated by the vaccine industry, and poor study designs for vaccine efficacy and safety that only serve corporate biases and commercial interests. Such is the case of several H1N1 vaccine trial press releases issued last weekend that are being spearheaded by the National Institute of Allergy and Infectious Diseases (NIAID). All the studies, although still in progress, are being announced at a time when public confidence in the government’s pronouncements about the severity of the “new” H1N1 virus and the urgency of a national vaccination program are waning. Moreover, a preliminary injunction and a temporary restraining order have been filed against the FDA on October 9. The suit seeks to place a stay on the H1N1 vaccines’ licensing until conclusive safety trials have been conducted for all targeted groups and with full public disclosure. Slumping on the ropes, the CDC and other health agencies are therefore desperate to fill in the gaps in the safety studies for at-risk groups which they have ignored for decades. Hence this flurry of press releases from the NIAID. One of the criticisms raised against the CDC’s and HHS’s swine flu policy is that certain groups have been prioritized for vaccination when no definitive and sound medical studies exist to support the government’s claims that influenza vaccines’ are efficacious and safe. These include clinical trials on small children, pregnant mothers, individuals with compromised immune systems, such as asthma, and the elderly. The CDC’s hypocrisy lies in the fact that systematic reviews have already been performed on all available sound studies but the CDC doesn’t like their answers and prefers to ignore them. Dr. Tom Jefferson, head of the Cochrane’s Vaccine Field group, has shown that studies concluding flu vaccine’s efficacy were either poorly designed or “badly executed.” With respect to trials conducted on children under two years of age, the very sparse reliable studies show influenza vaccines are no more effective than a placebo. Dr. Jefferson has observed strong biases in the selection of trial participants throughout vaccine industry-conducted trials. His conclusions state that “evidence from systematic reviews show that inactivated [influenza] vaccines have little or no effect on the effects measured.” He has discovered that there is “gross overestimation of the impact of influenza, unrealistic expectations of the performance of vaccines, and spurious certainty of our ability to predict viral circulation and impact. The consequences,’ Dr. Jefferson states, “are seen in the impractical advice given by public bodies on thresholds of the incidence of influenza-like illness at which influenza specific interventions (antivirals) should be used.” When it comes to identifying the infecting virus for any case displaying flu-like systems, only PCR is very reliable, and there can be anywhere from 152-200 different infections contributing to flu-like symptoms. This reinforces an opinion by Dr. Anthony Morris, a former Chief Vaccine Officer at the FDA, “The producers of these [influenza] vaccines know they are worthless, but they go on selling them anyway.” We would add from a review of the CDC’s statistics on influenza threats, they are intentionally misleading and medically worthless. A review of the NIAID’s recent safety trial descriptions for pregnant women, persons with asthma, and the co-administration of the H1N1 and seasonal flu vaccines in healthy adults and the elderly show once again more sham science on the immediate horizon. The results will surely be twisted, kneaded and molded into a smiley face, plastered on the CDC’s and pro-vaccine health websites, and aired across the media waves to convince us to rush to our nearest vaccination facility. The NIAID studies are being done in collaboration with Novartis and Sanofi Pasteur, each a manufacturer of an approved H1N1 vaccine. In fact, Novartis’ Head of Strategic Immunization Planning, Dr. Clement Levin, and Sanofi Pasteur’s President Damian Braga sit as representatives on the CDC’s Advisory Committee for Immunization Practices (ACIP). The vaccine industrial complex is therefore involved in making our health choices for us. Furthermore, a review of all the clinical sites where the trials will be conducted reveals that most have representation on the ACIP. There is no indication of any independent research entities participating in the trials without financial ties to the pharmaceutical industry. One major concern Dr. Jefferson found in his review of flu vaccine studies involving over 50,000 people from 1969 to 2002 is the high incidence of “confounders.” For this reason these studies have been discarded as examples of poor scientific quality leading to undependable conclusions. Confounders are variables that appear in research studies that produce erroneous results. The way to avoid confounders and achieve more accurate data is to run controlled trials. Even better is to include a placebo in the trial study. This is standard best-case scientific protocol, and in the case of vaccine research it would mean that a group of vaccinated individuals would be compared to a similar or identical group that is unvaccinated during the flu season. However, the vaccine industry does not conduct controlled nor placebo efficacy and safety trials, and none of the recently announced NIAID’s studies are identified as “controlled” in their official documents. Even worse, studies can be designed to intentionally introduce confounders in order to tilt results towards the particular bias the research hopes to achieve. This is what we find evident in the trials underway on pregnant women, asthmatics, and the joint swine/seasonal flu study. Each is bogus science and yet each will be used for forthcoming public relations efforts issuing from the CDC and its foot soldiers throughout the insurance industry, professional medical associations and media. For example, each of the NIAID studies claim to test for vaccine safety, however, none will investigate or measure any criteria associated with other vaccine ingredients—thimerosal (ethylmercury), adjuvants such as squalene, formaldehyde and oxtocinol (a detergent used as a spermatocide)—except for the H1N1 virus itself. Since the vaccines are being made with and without thimerosal, we would expect the trials to use the latter for preventative measures. Individuals with known allergies to formaldehyde, gelatin, chicken eggs or oxtocinol—in the event your physician or vaccine administrator ever happened to ask you if you were sensitive to any of these—are excluded from the studies. The pregnancy study will only include 120 women, and one of the exclusion criteria includes any woman whose temperature rises to 100 degrees F or higher during the first 72 hours after injection being removed from the study. This last point is a clear example of a confounder intentionally inserted in the study because adverse side effects that may appear in any of these women will not be included in the final data analysis. We would hope the NIAID would take these warning to heart in designing their trial on the co-administration of the H1N1 and seasonal influenza vaccines. But that is asking a bit much from an agency already sold to bad science. We are stuck asking ourselves, with all the money at their disposal, why can’t our health agencies and advisory committees fund a decent scientifically sound study to get to the bottom of the critical questions regarding vaccine safety? The only answer we are left with is that they don’t want to know the truth. There is no other reason for the continuation of flawed science except to support the CDC’s reactive measures to the growing pressure to convince Americans that the fast tracked swine flu vaccines are safe in the absence of good medical studies. Fortunately for the Department of Human Health and Services, Americans are still more dim-witted than their European neighbors when it comes to scrutinizing products coming off industrial assembly lines, especially vaccines and pharmaceutical drugs. It proves the high effectiveness of the vaccine industrial complex’s marketing schemes through our government and corporate media. At this moment, health care professionals in the UK are increasingly spurning the H1N1 vaccine. Some hospitals are showing as low as 10 percent of staff and 10 percent of doctors willing to get vaccinated. The primary complaint is “the vaccine is no good and you shouldn’t be bothered with it.”  The French government is struggling to find doctors to administer the flu jab. A recent poll in Sweden has more than half of its citizens refusing the shot, and anti-swine flu vaccination protests are erupting in New Zealand. The German health ministry is in a quandary. This week, physicians and advisors of the German military have declared soldiers should not be given the approved vaccines with the mercury preservative and the adjuvant squalene. Consequently, the German public is growing more skeptical by the day over H1N1 vaccines’ safety. Yet here in the US, the sheeple are glued to the theatrics of the ever popular Dr. Oz rolling up his sleeve for a swine flu vaccination and offering his studio audience to fanfare applause their very own free injection of some toxic solution whose effects are unknown. But then Dr. Oz during a separate interview on CNN stated his four children and wife will not receive it. Pregnant women are now being listed as a high priority for swine flu inoculation. Yet the product inserts so far from the package inserts state the disclaimer: “Animal reproduction studies have not been conducted with influenza virus vaccine. It is also not known whether influenza virus vaccine can cause fetal harm when administered to a pregnant woman.” By their own admission, the vaccine industrial complex has not even performed clinical studies on pregnant animals, let alone pregnant humans! It would seem that the pro-vaccination community abides by the prevailing myth that the placenta serves as a kind of barrier or wall protecting the fetus from toxic chemicals, metals and contaminants and pathogens in the pregnant mother. This belief has collapsed after one of the more important discoveries in recent years. The Environmental Working Group, an independent non-profit organization conducts laboratory research on environmental toxins. After testing umbilical cord blood for over 200 of some of the most dangerous chemicals found in our immediate everyday environment, the researchers came to the startling results that on average approximately three quarters of them were present in umbilical cord blood. The urgent importance of this discovery is that the placenta does not serve as a reliable filter and highly toxic neurological damaging chemicals, including those used in vaccines, such as ethylmercury and formaldehyde, will make their way to the developing fetus and can contribute to untold neurological and genetic alterations leading to long-term diseases as the child grows up. Unless we can fully appreciate the rate of cell division in an unborn child, which is astronomical and therefore more susceptible to mutations in the presence of highly toxic chemicals, we are unable to grasp the full extent of the dangers vaccines pose on the developing child. This in and of itself should force us to pause and reconsider the serious side effects being inflicted on unborn children from vaccine ingredients. If your physician or nurse intentionally injected you with lead, they would go to jail and rightly so. As every civilized government in the world knows, lead is neurotoxic to the brain. There is no controversy about this. The controversy is when public health officials insist that a pregnant woman or a young child receive an annual influenza vaccine and a swine flu vaccine containing 25 mcg of mercury each, a level that is deadly to the brain’s neuron cells Mercury is more toxic than lead. It is unfathomable, therefore, how the same doctor, as well as all of our government health officials, would never suggest you be injected with lead, but can turn around and insist you be injected with mercury, knowing full well that your blood will carry that thimerosal past the blood-brain barrier and potentially cause neurological damage. Furthermore, we have an epidemic of autism in the US and other developmental and learning disabilities in children. We have never experienced this in our history prior to the introduction of large numbers of vaccines going into the children of America. There are no long-term double-blind, controlled placebo studies for any of the pharmaceutical industry’s vaccines nor are there any studies to determine what interactions might occur from the interaction of other vaccines when in the presence of the new swine flu and/or seasonal vaccines. Such studies don’t exist. The CDC and HHS cannot prove that if you did not get infected with the flu it is because you were vaccinated. And yet they have gone to the extreme in demanding and legislating that the vaccine industrial complex be subsidized, given waivers and indemnified from any and all lawsuits. Consequently, if there should be large numbers of serious adverse reactions and deaths, no one will be held accountable. In a society that prides itself in democratic principles and free choice, our health officials are denying that very same free choice by implementing mandatory vaccine policies. This is not the Hippocratic Oath. This is medical fascism. Richard Gale is the Executive Producer of the Progressive Radio Network and a former Senior Research Analyst in the biotechnology and genomic industries. Dr. Gary Null is the host of the nation’s longest running public radio program on nutrition and natural health and a multi-award-winning director of progressive documentary films, including Vaccine Nation and Autism: Made in the USA. Dr. Null is also the plaintiff on a law suit against the FDA to prevent the launch of the swine flu vaccine until safety studies have been thoroughly conducted. “Interview: Dr. Tom Jefferson and the Pandemic Flu Vaccine” Financial Times. September 11, 2009. Jefferson T. “Influenza vaccination: policy versus evidence.” Brit. Medical Journal. Vol. 333, October 28, 2006. “Randomized placebo-controlled crossover trial on effect of inactivated influenza vaccine on pulmonary function in asthma.” Lancet. 1998; 351: 326-31. 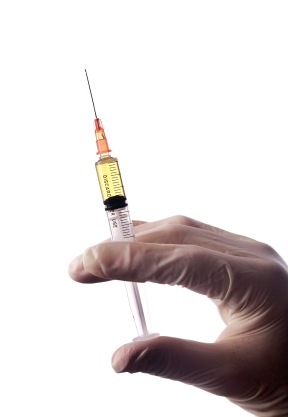 “Seasonal flu shot may increase H1N1 risk.” Canadian Broadcast Corporation News. September 23, 2009. Campbell, Denis, “Swine flu fears grow as NHS staff shun vaccine.” Guardian UK, October 11, 2009. “Virologe: Bundesregierung hat den falschen Impfstoff gekauft.” Yahoo Deutschland October 12, 2009. Richardson, Dawn. “Flu Vaccine: Stay Out of My Womb” October 8, 1999. http://www.vaccineinfo.net/issues/flu_vaccine_warning.htm. Branswell, Helen. “Canada to Buy Only Adjuvant-Free Vax for the Pregnant. The Canadian Press. September 5, 2009. “Swine flu vaccines not tested on pregnant women.” Pregnancy Weekly. August 6, 2009. Ayoub B, Yazbak FE. “Influenza vaccination during pregnancy: a critical assessment of the recommendations of the Advisory Committee on Immunization Practices.” J Amer. Phys and Surg. Volume II, Number 2. Summer 2006. TLB recommends you visit Global Research for more great/pertinent articles and information.